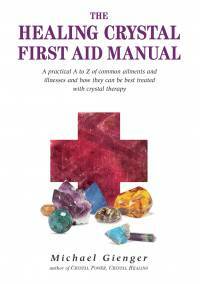 This is an easy-to-use A-Z guide for treating many common ailments and illnesses with the help of crystal therapy. It includes a comprehensive color appendix with photographs and short descriptions of each gemstone recommended. Based upon on many years of research by the author and his practical experience of crystal therapy, it provides help and useful advice for the use of healing crystals in your own home. Not only does it give exact advice on how to use the crystals but it also depicts clearly what the illness is about and which psychological roots might be the cause of it. So, whilst in no way is the book intended as a substitute for your doctor or alternative practitioner, the book serves as a complement to their skills and many will find it just as indispensable.